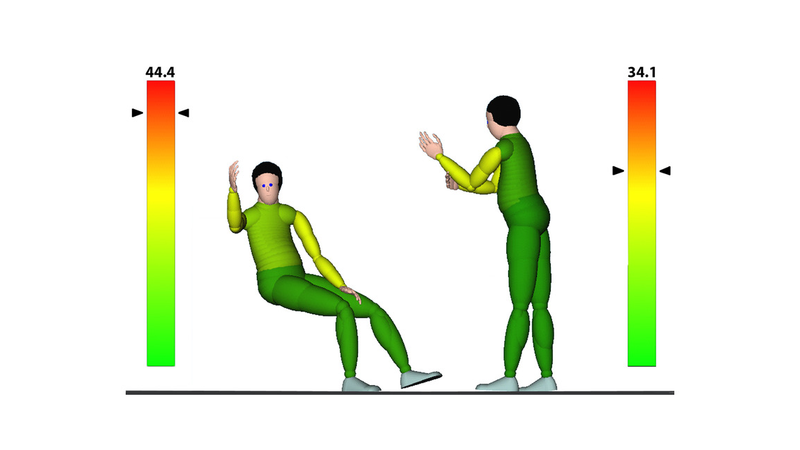 The Dynamicus tools have been specially developed for the use of motion capture systems in motion analysis. They support the acquisition of the data necessary for the analysis and use the method base of Dynamicus and the alaska/SimulationEngine under a special user interface that focuses on conducting tracking experiments and evaluating the tracked motion. From the tracking experiment to the evaluation result in pdf format, often only a few steps are necessary. At the same time, the tools offer a clear visualization of experiments and simulation results, providing maximum security and transparency with regard to the evaluation. In addition to freely accessible ergonomics assessment procedures, the Dynamicus Tools concept can also be used to implement assessment procedures that include special evaluation criteria for workstations or products of a company.